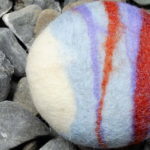 Learn to make your very own felted soaps! Felted soaps are a great beginner workshop and would also be a ideal class for kids too! 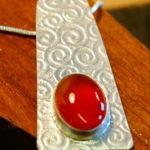 Soaps are covered with merino wool tops and felted to make a wonderful gentle exfoliator! Its soap and a wash cloth all in one! Looks great, the soap last longer and because it’s incased in the felt you can use right down to the last wee nub of soap!